Secondary memory differs from primary memory in a manner that is not directly accessible by the CPU. The computer usually uses it's input/output channels to access secondary memory and transfers desired data using intermediate area in primary memory. Secondary memory is non volatile memory. It is less expensive than primary memory. Data is kept for a longer time in secondary memory. Magnetic storage uses different patterns of magnetization on a magnetically coated surface to store information. 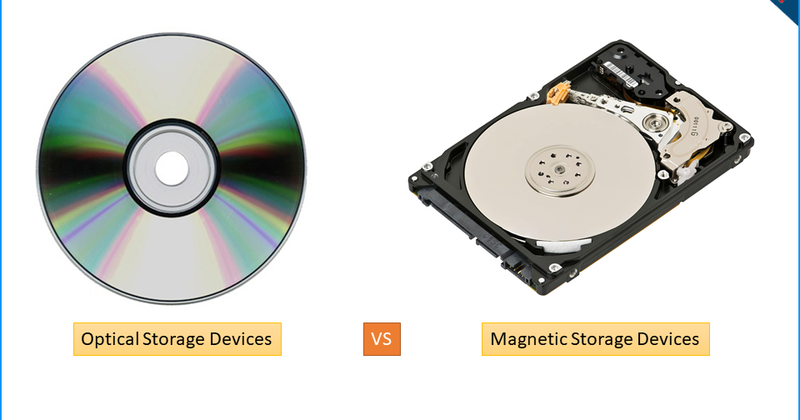 Magnetic storage is non-volatile. 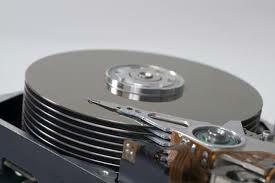 The information is accessed using one or more read/write heads which may contain one or more recording transducers. A read/write head only covers a part of the surface so that the head or medium or both must be moved relative to another in order to access data. 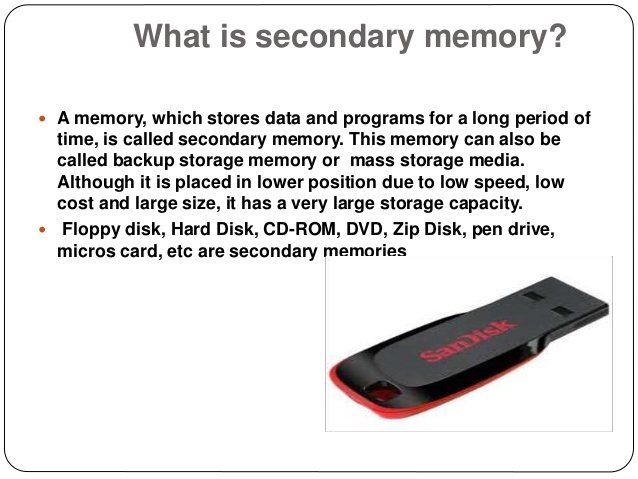 In the next module we will continue our discussion on secondary memory and it's second type that is optical storages and at the end we will discuss on cache memory.